Hi Greenzoners! You know what? You don’t need plastic bags. Or at least – they are not necessary, and you can get rid off them and reduce the waste. 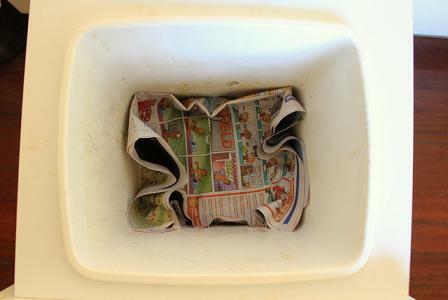 You can just keep your litter in a plastic bin and put some old newspaper on the bottom to prevent from rotting.